Hello! Who is Carol? I am business-minded entrepreneur & HR professional turned FT potty-training, boo-boo kissing, cupcake-making WAHM. I have a love for good wine, food, art, interior design & great conversation. My other loves are my sweet lil’ family which consists of me and my three children — the big one (my wonderful hubby) and the little ones (my 5 year old princess and 12 month old little prince). Aside from (trying to) be “supermom” (if that even exists), I’m also a blogger, project manager and an advocate for PCOS Awareness. As a fighter of PCOS, I have also battled infertility but with a great support system I made it through! I believe in the power of women, and especially the magnetism of being a mother. I am empowered and blessed and love sharing my life story with others. Accept that there is no such thing as a perfect mom. Just remembering that in the eyes of your children, you are more than perfect. Oh, and that a little rouge and one great pair of good-fitting jeans makes a world of a difference. Work it, girl! Aside from my family, my inspiration comes from all the experiences, good and bad, that I come across in life. There’s always something to be inspired by, just open your eyes, open your heart and listen. Accept help! I can’t stress that enough. I am thankful that I have a great support system! You can’t do it all on your own (even though you think you can). Every mom needs some Mom-ME time. Also, a good stash of chocolate and wine is a must-have in the home. In this day and age where it’s easy to send a quick text or check your emails on your smart-phone, stop. Being there, being present, being in the now is what matters so much more to your children, your family and your friends. Listen to them chat about their day at school or their imaginary friends (without your phone in your face), call up a friend instead of texting or emailing or better yet, book a lunch or mani/pedi date to catch up! Be there, be present, be in-the-now. 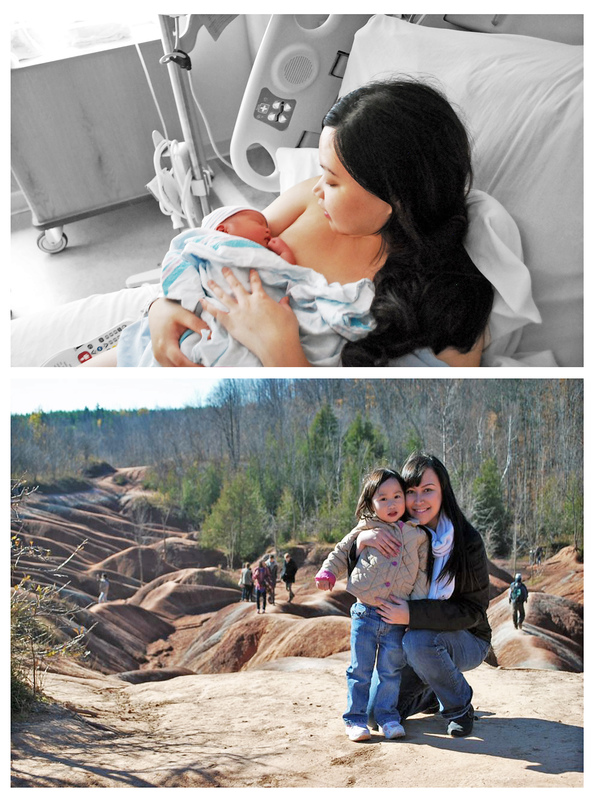 The moments after giving birth and holding onto my child for the first time… now that’s a real WOW moment. Ordering take-out for dinner again that week. Oops. Happens to us all. Do not deny it, ladies. Your children may be your world (I know they’re mine), but your lives do not have to revolve around them either. Get out of the house, doll yourself up and enjoy some time away from the chaos. You totally deserve it and you will always come back home feeling just a little more WOW. There’s always a different favourite MOMent in my days – whether it be the MOMent my son giggles and dances, when my daughter tells me how much she loves me, or when I catch my husband staring at me amongst the chaos of prepping dinner (the kind of stare he use to give you during the dating days!). Y-E-S. You just have to find the balance that works best for you. It’s different for everyone. But it’s also important to have it. My Lola (Grandma) <3 . Today! My son made me laugh with his awesome 12 month old dance moves. Laughter cures all. I strongly believe that. 1) Always remember you are BRAVER than you believe, STRONGER than you seem, SMARTER than you think & twice as BEAUTIFUL as you’d ever imagined. 2) Be the type of person you want to meet. 4) Every person you will meet is fighting their own battles. Be an example of humility, love & peace. Be the light in darkness. 5) Remember the people that LOVE you most and seize the opportunity to tell them you love them often. Life is short. Show your appreciation. 6) As Shakespeare says, ” Love all, Trust few, Do wrong to no one”. 7) Smart is the new cool. 9) A strong hand shake leaves a lasting impression. 10) Don’t let others define who you are. Ever. 1. My support system – every mom needs one. 2. My Keurig maker & coffee (I’m alive!). 3. A good stash of chocolate and some great wine. 4. Trips to Chapters Indigo (Mom can get her green tea latté and catch up on some reads while the children play and learn!). 5. A great pair of good-fitting jeans. 6. My iPhone (keeps me organized and “au courant”). 7. A good concealer and SPF cream. I love my Maybelline’s Dream Fresh BB 8-in-1Beauty Balm! 8. A monthly subscription to a favourite magazine. I love getting my monthly InStyle and Style at Home.